Congratulations! You’ve taken that first step and have become a part of our family! It is at about this point when you get excited about getting your new gi, and it’s not long before you pose that age old question… “How do I tie my belt? ?” No worries! You’re not alone! I have just the right video for you, my friend. Watch the video below to see Rener Gracie break it down for us step-by-step. He gives us three options to use, so you get to choose the one that works best for you! Feel free to use this video as many times as you need! You might even find that different ways to tie your belt work best in different situations. It’s all good! Now here’s something I bet you never even thought you needed to ask! “How do I tie my pants?” I mean… it sounds like a simple enough task, does it not? And yet… here we are. There’s a reason why we might be having difficulties with our jiu-jitsu pants. We expect to tie them the same way we tie our drawstring shorts, or our jogging pants, right? And why wouldn’t we? But it turns out, that tying them in the same way as we do our daily clothes can actually cause that mysterious loosening of our pants during class. Watch the video below as Rener explains how and why that happens, and what to do to fix it. 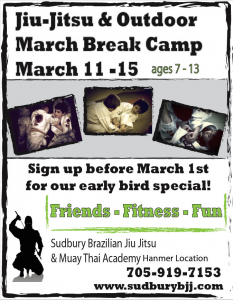 March Break Day Camp 2019 is here! 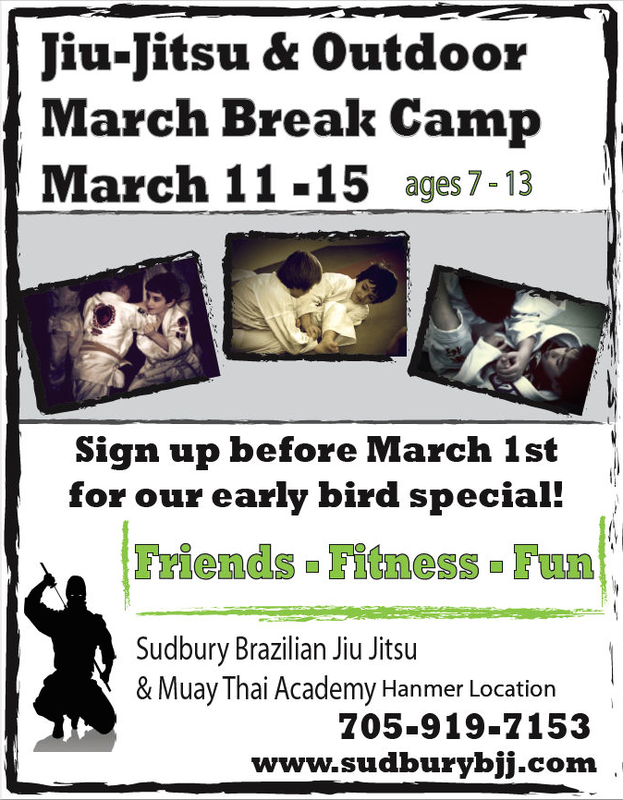 Kids love adventure, and what better way to give them the adventure they crave, than to have them join our fun March Break day camp? Kids get to learn Jiu-jitsu in a co-operative and fun environment, discuss aspects of healthy living, learn the theory and practical application of outdoors survival techniques, teamwork, good citizenship, and fun outdoor play! Limited spots available! Sign up now and claim your early bird discount! Sibling discounts available. Contact us today! 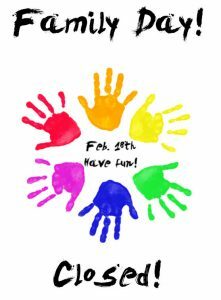 Please remember that we are closed Monday Feb 18th for Family Day. 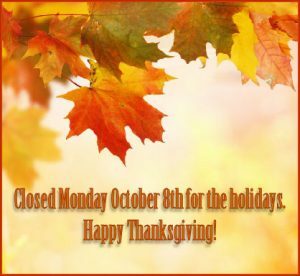 Have a wonderfully fun and safe day with your family! It was a an ordinary day. 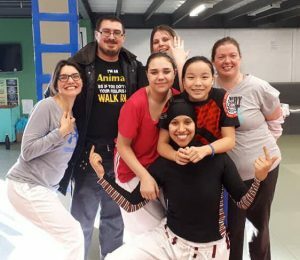 A day when people came to our academy to learn self-defense, work out, to see their fellow members and the instructors whom they’ve come to know and love. We laughed, we learned, we worked hard. 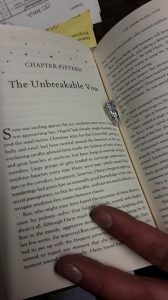 But one member had something a little extra special in mind. 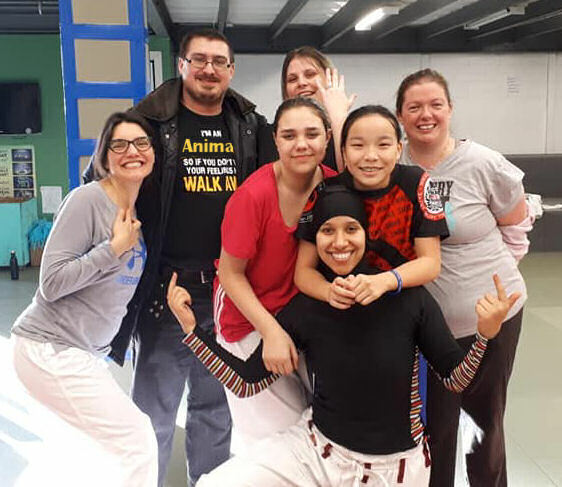 You see, there was one member he loved above all else, and when they made the decision to start something new in their lives by joining our jiu-jitsu family, Reg decided he was going to take new beginnings to a whole new level. So he plotted, planned, prepared. And while Karina was busy enjoying her Women Empowered class, Reg went upstairs and got busy executing his plan in complete secrecy. He. Told. No one. Karina only made it as far as the bottom of the steps before she was spotted, and she blurted out the happy news! “I JUST GOT ENGAGED! 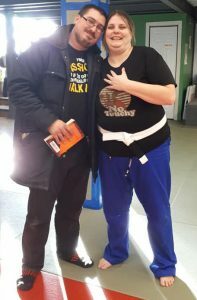 !” Within seconds the happy couple was swarmed with happy, excited women all cramming to hand out hugs, take a peek at the ring, and make a cacophony of happiness, expressing overwhelming joy at the news. It is with absolute immense pleasure that we congratulate you on all your happy beginnings together, and we feel incredibly honoured and privileged to have been permitted to be a part of your wonderfully precious moment. May you enjoy a lifetime of health and happiness together. 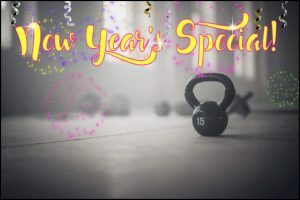 Start 2019 with a bang, and take advantage of our class pass special! For the month of January you can buy a 12 class pass for 150$. That’s a 30$ discount! Also, to share the joy of the new year if you bring a friend to class and they also take advantage of this class pass special, you will receive 6 free classes!! Sign up for your free class today, and fall in love with physical activity all over again! As an added bonus, if you are a parent of kids aged 7-12 find out how you can have them join jiu-jitsu at the same time as your classes! Join our Facebook Kettlebell Bootcamp group for more information or call 705-665-1253. *All classes are included in regular academy membership packages. 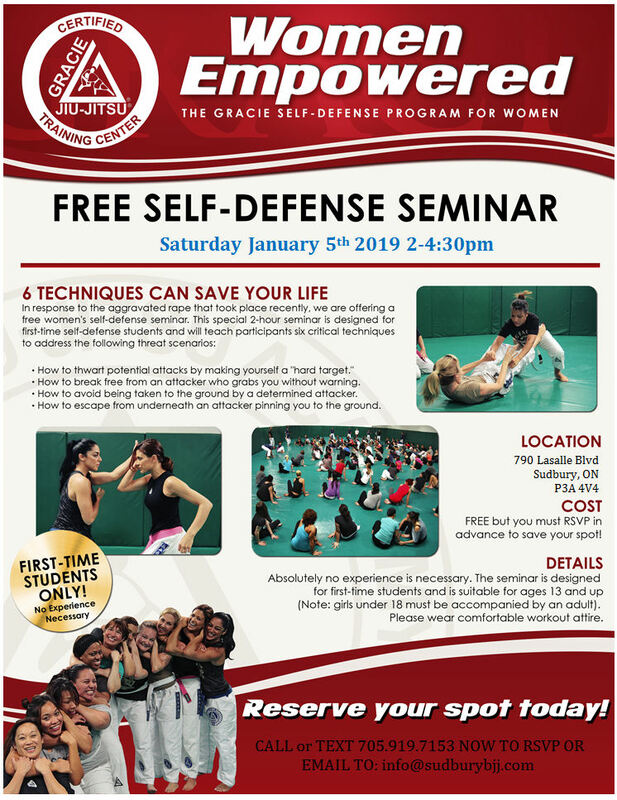 FREE Women Empowered Self Defense Seminar! 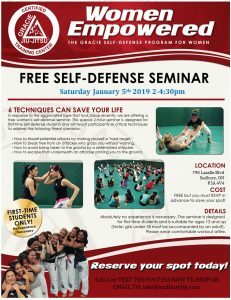 We are excited to announce we are participating in this global event offering women this FREE opportunity to learn about the Gracie Jiu-Jitsu self defense course, and to do some hands on learning about some of our techniques! This course is designed SPECIFICALLY for the types of situations women may find themselves in, and provides tools to empower women to deal with dangerous situations or even to use in their day to day lives. Come out for this free 2hr seminar, and invite the women in your life to come try it out with you! (Ages 13 and up.) Reserve your free spot today! Call or text us at 705-919-7153, email us at info@sudburybjj.com, or use our handy contact form. We can’t wait to see you there, and are looking forward to sharing this life changing experience with you! What are we grateful for? Why, you of course! Thank you so much for being the best part of our Sudbury BJJ & Muay Thai family! Please note we are closed Monday for the holiday. We wish you and yours a very full, happy, and safe long weekend, and we can’t wait to see you again real soon! Check it out! No experience necessary! We are excited to welcome instructor, George Stamatiou to our Academy August 25th, 2PM to 4PM for a free seminar to teach us what Krav Maga is all about! Recently relocating from one beautiful country to another, George left Greece to come live right here in Canada. 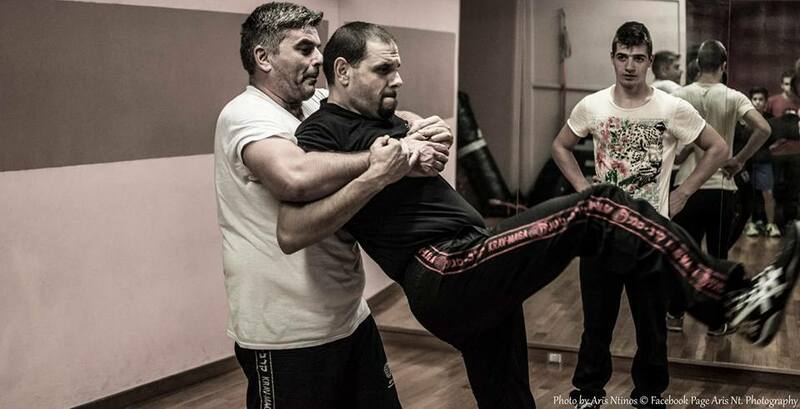 A member of the International Krav Maga Federation (IKMF), George is a certified Level 1 Expert and is eager to join forces with us, so that he might introduce us to this martial art and share his love for it with us. Don’t miss out! All Jiu-Jitsu practitioners welcome! 4th degree black belt and eldest grandson of Grand Master Helio Gracie, Ryron Gracie, has confirmed that he will be teaching two special Gracie Jiu-Jitsu Seminars (with a 1-hour sparring session to follow) right here in Sudbury on Saturday, September 8, 2018! The seminar will take place at our Gracie Jiu-Jitsu Certified Training Center at 790 Lasalle Blvd, (at the west end of the building). Ryron’s easy-to-follow yet highly systematic teaching methods coupled with his passion for the art and the jiu-jitsu lifestyle, have made him one of the most sought after jiu-jitsu instructors in the world. Whether you are new to Gracie Jiu-Jitsu or you are a black belt looking to take your skills to the next level, Ryron’s goal is to teach you how to think, drill, and spar so you can enjoy jiu-jitsu for as many years as possible. Everyone is welcome to participate in this momentous opportunity to learn technique, drilling, light rolling, and philosophy. Reserve your space now before it’s too late! 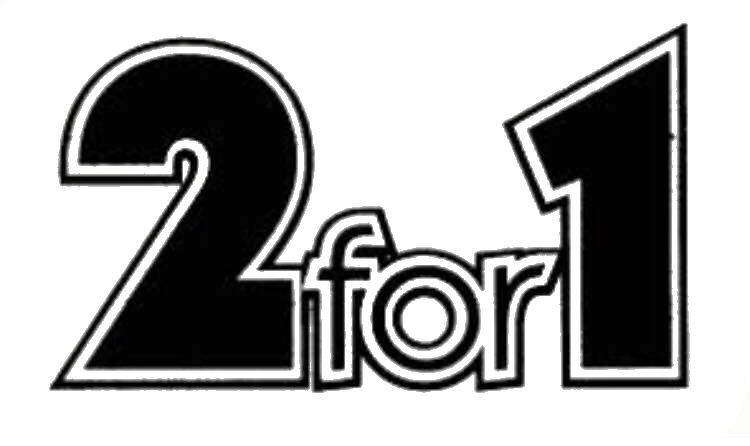 2 For 1 Memberships, Limited Time Only!